Pick Your Own Our U PICK covers about 20-30 acres. 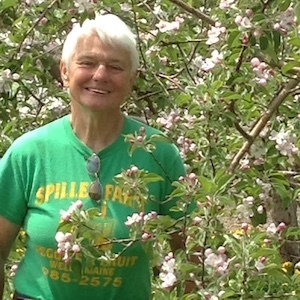 I update spillerfarm.com almost daily during our U PICK season (early June into mid or late October) about berries, veggies and/or apples available, hours and parking"
We grow a wide variety of veggies including butter and sugar corn, silver corn, tomatoes, peppers, eggplant and kale. Strawberries, rhubarb, raspberries, blueberries, melons, peaches, and apples.